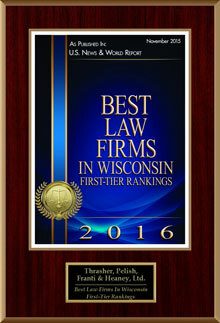 Contact Information | Thrasher, Pelish & Heaney, Ltd. CAUTION: If you are not already a client, any e-mail message you send us may not be privileged or confidential! We WILL NOT establish a new lawyer-client relationship by e-mail alone. That requires at minimum telephone contact but usually face-to-face communication.